It's no secret that houseplants are the new ornaments this year and you bet I jumped on that bandwagon. 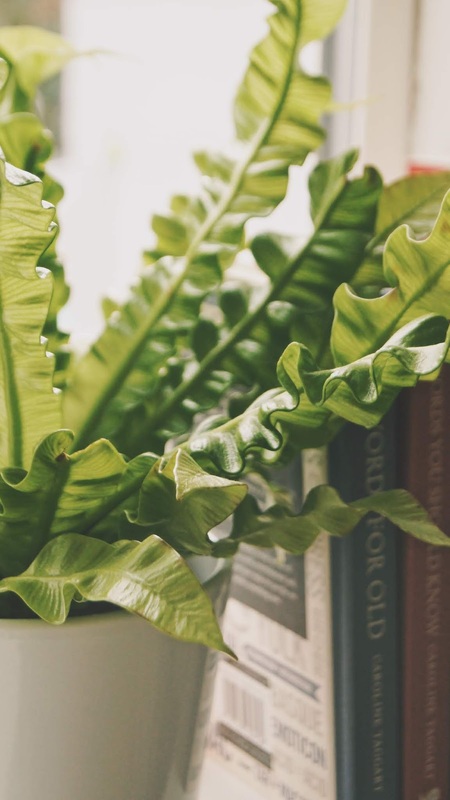 You all know that I am a nature lover through-and-through so the thought of introducing houseplants into my home, along with their health benefits and beauty, was something I couldn't resist. In fact, for someone definitely not even on the spectrum of having children yet, as well as not even ready for a pet, plants are my children now. Let me introduce you to my plant family. Let's kick off with one of my favourite members of the gang - the String of Pearls. We actually found a cutting of this plant in a garden centre after it was dragged around a little too much. Fortunately for us, when we brought it home and popped it in some soil, it started to grow. As it's known as a slow grower, the size of this plant right now is fantastic - we have so many new pearls and I can't wait to see it grow more. You can see what it looks like in the image above; I planted it in an old cat mug that will hopefully end up looking funky when the cat gets locks of pearly hair. This is just simply a plant that I saw at the end of an IKEA trip and couldn't resist. I love the heart shaped leaves and that perfect waxy feel that they have. Because of that wax texture and the thick stems, it doesn't require too much watering. I do however find that, as more leaves grow, the older leaves at the bottom start to lose their rich green colour. If they do begin to yellow, I just cut them off with care and let the plant give all its energy to the newer leaves. Unfortunately, one of the leaves did get a pretty bad tear when we were moving but, other than that, it's doing pretty well. This unique looking gem has been through some rough patches. When we first bought her she was a happy little money plant - then we gave her fertilizer. Jamie and I both agree that we just gave this plant the fertilizer that we had in and nothing specific enough to her needs. 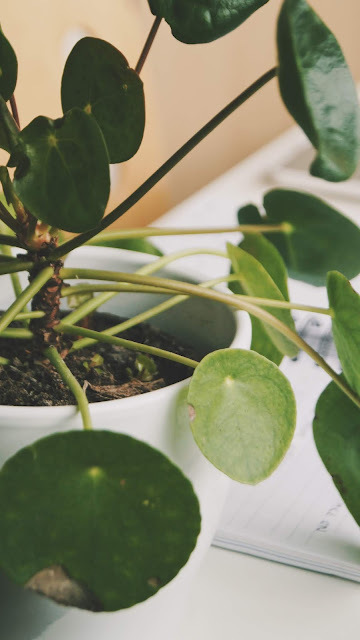 As you can see on the image above, our Pilea was damaged with some fairly nasty chemical burns. Leaves began to sprout as misshaped and even black - I really thought that it was the end for this plant. Nevertheless, we didn't give up hope. We stopped watering as regularly and give her a nice peaceful spot with no fuss and she seems to have rejuvenated. If you follow me on Instagram, you'll see that we've actually been able to start propagating our Pilea; the mother plant has so far sprouted 3 healthy looking babies as well as lots of nice, new, green leaves at the top. I bought this lil baby on a whim because, really, who can resist the weird and wonderful fingers of this plant. I love the really small size of it and how it just sits proudly anywhere you place it. Since buying it around 5 months ago, it currently still has all of its original stems in perfect condition as well as a new, bright green, 4cm sprout. Also, looking at the soil of the plant, I can see at least two new sprouts heading their way up. So it seems to be growing with vigour - I think it's enjoying its new sunny spot in the window. See it below. Yup, we have two of these beauties. They're both relatively small, although one is about half the size of the other. 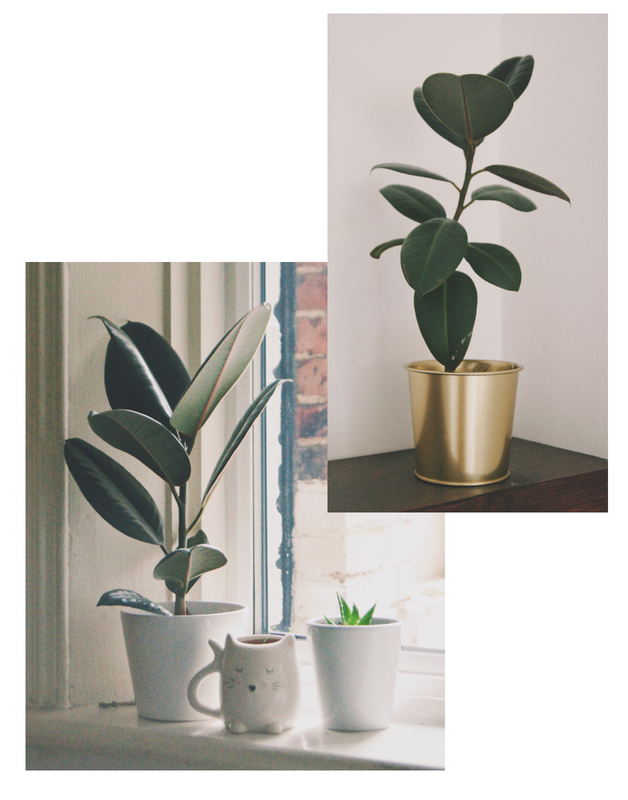 Our largest rubber plant is around 50cm tall with huge, shiny leaves; the smaller tree has leaves that are around a 3rd smaller and has been growing in a very small pot for over 3 years. I've found with these rubber plants that they grow according to their home - they seem the kind of houseplant that would grow as big as your house if it was allowed, Essentially, the bigger the pot, the bigger the plant. I do think that we'll re-pot our rubber plants in the future to get more size out of them because they truly are beautiful houseplants to have around. Where from? Wilko, I think. This one has to be a strong contender in the group of my houseplants that I think look the most unique and impressive. It is the most peculiar type of fern I've ever seen but I love it. The leaves are pleated and waved to the max - they have a plastic-like feel to them, making the plant almost look artificial. Oh, and it's an ASMR's dream. With my understanding of ferns, they typically enjoy humid and wet conditions, however, after keeping this one in the bathroom for a month, she ended up looking a little bit brown (often a sign of overwatering). To prevent any damage, I've brought her out and popped her in a wonderful spot on my desk so I can stare at those curly locks all day long. 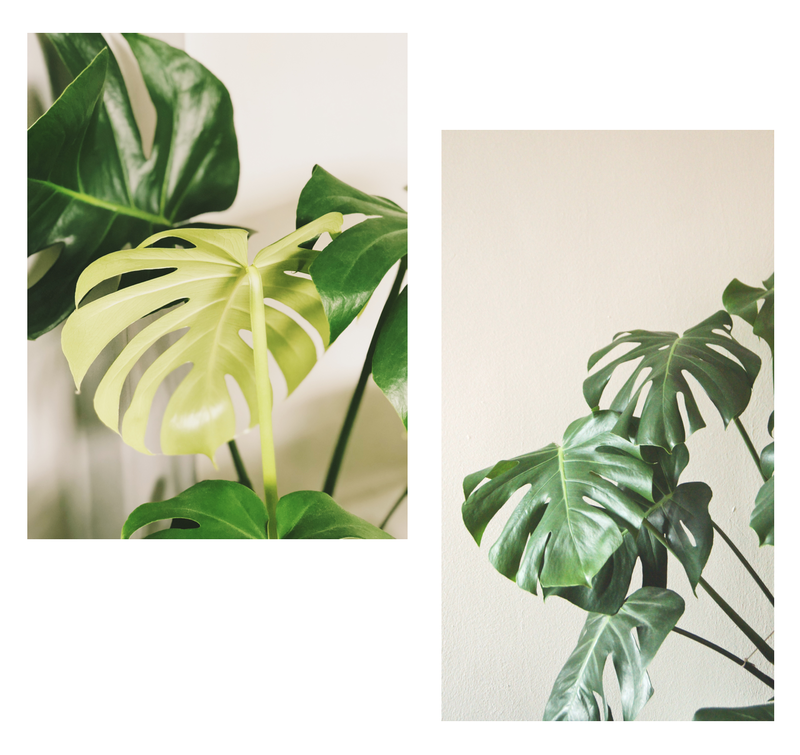 The big beauty herself - the mother of all the house plants - who sits proudly in our living room is the Monstera. 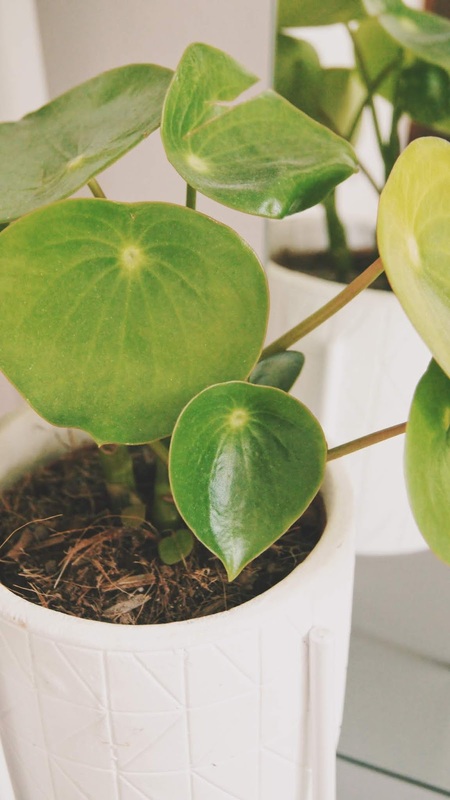 Now, even if you haven't got a single clue about house plants, you MUST have seen these plants rocking there way around Instagram. By what every single relative has told me, they were popular in the late 20th Cent. but their popularity died out a little. Nevertheless, they're back in fashion. Our Monstera is approximately 1 year old and we have already had so much growth from it. 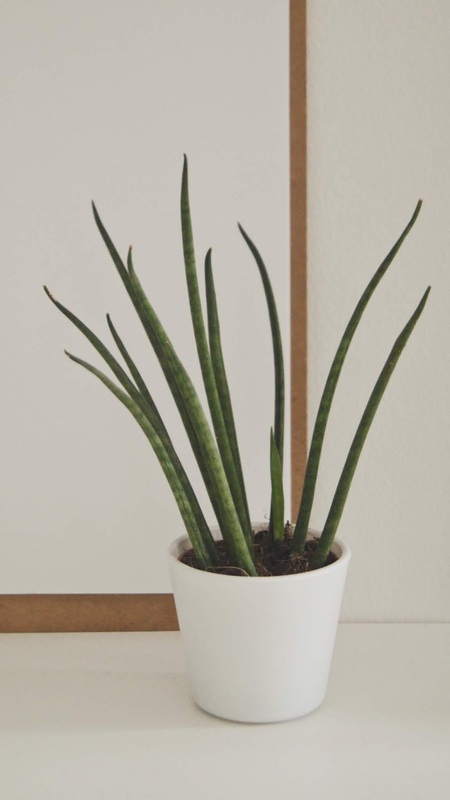 They aren't as easy as some plants are when it comes to caring - they do require a nice sunny spot (but not too much direct light), a regular but spaced out watering routine, and a suitable fertilizer in the summer months. They really do grow to be vast and wonderful plants that bring a lot of excitement with every new sprout. My houseplant collection does span a little wider than that however they are the main plants within the family. Others include the seemingly endless list of cacti (untouchable because of their spikes), baby plants that are currently under the intense watch of 'propagation station' and, of course not forgetting, the plants that have passed away over out time. #RIP #NeverForget. Which of my houseplants do you reckon you'd manage to keep alive? And which should I buy next? 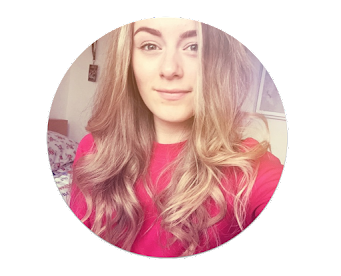 This is such a lovely post, it was so nice to meet your plant family haha! I have a few succulents in my bedroom and then an aloe vera plant in my bathroom and thats it sadly. 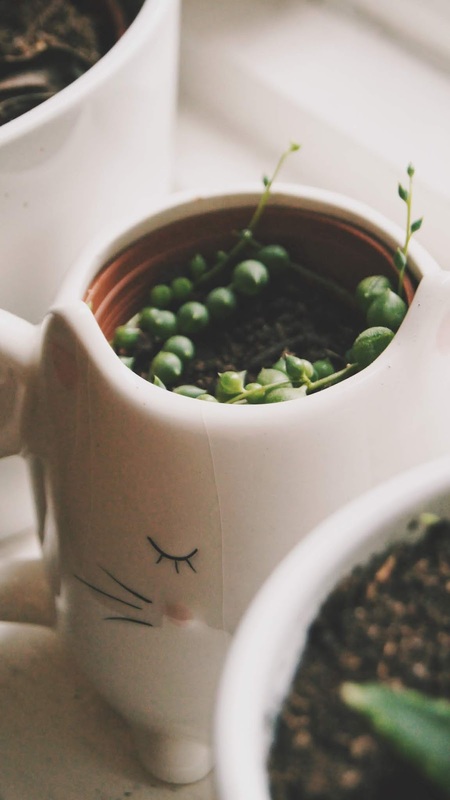 When I get my own home, the first thing I'm buying is a cheese plant because they're so cute!